Have you heard of Light Therapy before? I haven’t, but I’m so happy that I finally was introduced to this concept because it works. I work from home and don’t go outside that much, yes; I know I should, but I don’t. I go outside to get in my car and run errands, and that is about it. Horrible I know, made me realize that I’m fighting depression for many reasons, lack of sunlight is one. When you go to the beach, don’t you feel energized and happy? I do! But how many times do we go to the beach to get that feeling–not much at all! Again, not good. 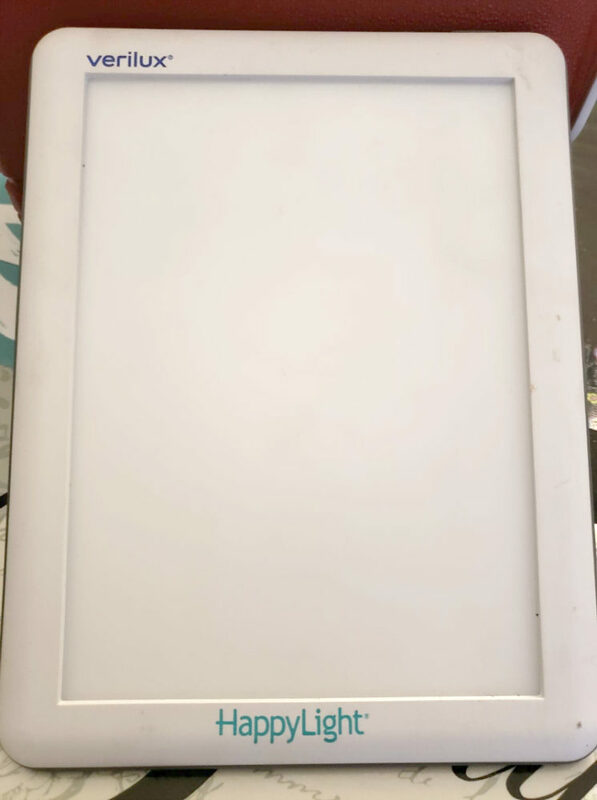 Big sigh but good news there are products like the HappyLight from Verilux that will help us get the beneficial light we need every day even in the winter time. No more Winter Blues. 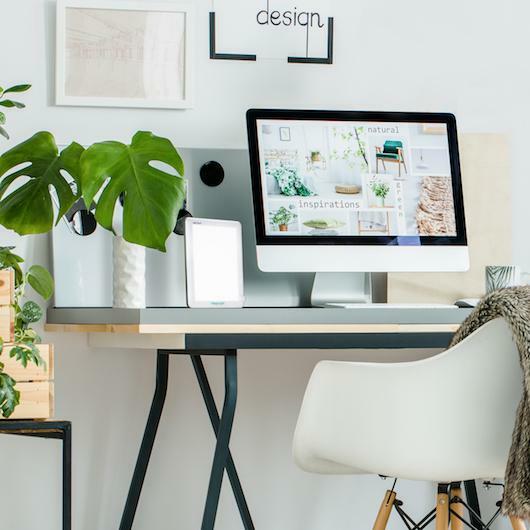 This lamp is their newest and smallest LED light therapy lamp that delivers a powerful 10,000 lux (which is the recommended ) for increased energy, mood, focus, and sleep. 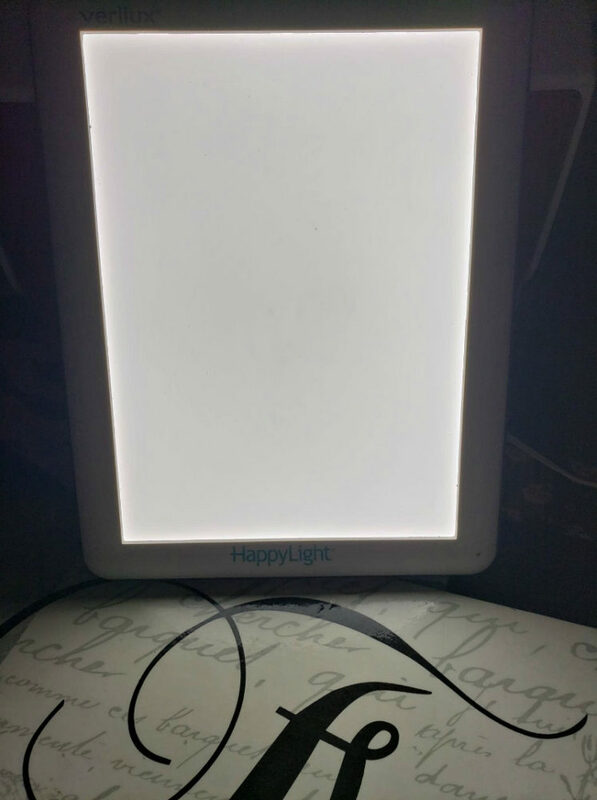 I’ve been using the HappyLight® Lucent LED Lamp for a couple of weeks now, and I’m a believer of light therapy. I have more energy, better mood, and focus is on the spot lately. I am quite impressed and surprised but know I will be doing this every day now. It is part of my ritual. 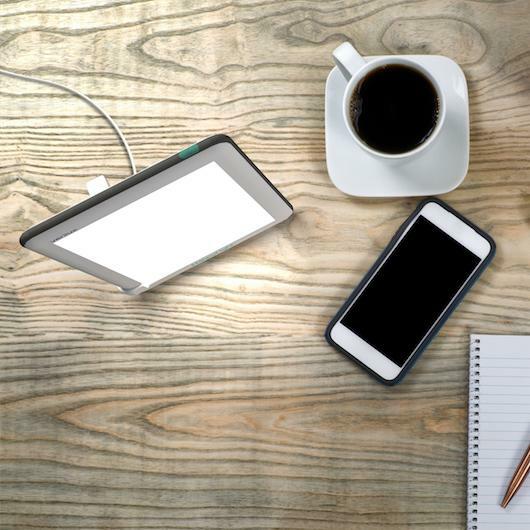 Plug the HappyLight® in a convenient location like on a table top and turn it on. I sit at my kitchen table and drink my coffee while the light does it magic on me. Make sure the light is facing you but not directly in your eyes. Also, find the right distance and angles, try several before you find the one that feels the best. Start using the lamp for only 10 minutes at first then work your way up by increasing your time every day you use it. I use it now every day for 30 minutes, but I started out 10 minutes every other day for the first two weeks. Daily use is more likely to help boost your mood and energy. If you get the WINTER BLUES, then you need to get yourself a HappyLight® Lucent LED Lamp soon, and we have a DEAL for our readers. If you think you might get the winter blues then start in early fall then grab yourself one now and use the deal below. Verilux (means true light) products will have a positive impact on your life. Please leave a comment on if this something you could use in your life.